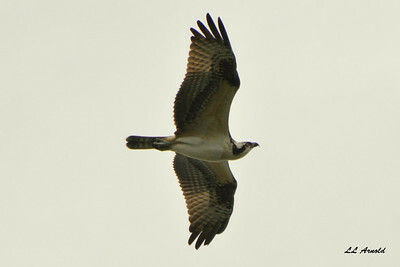 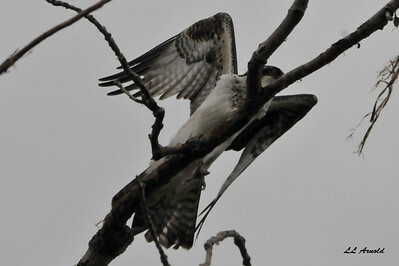 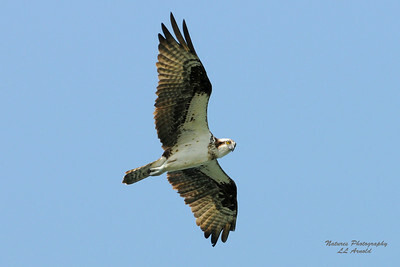 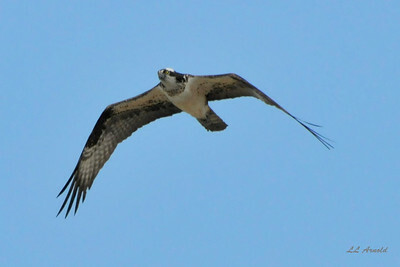 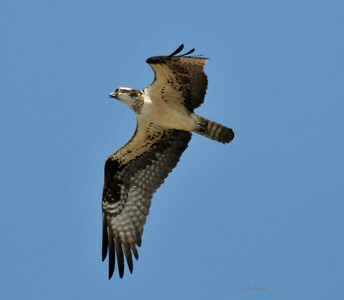 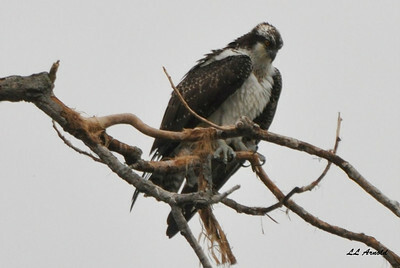 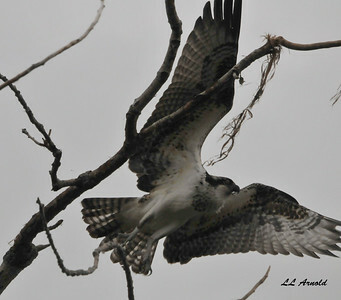 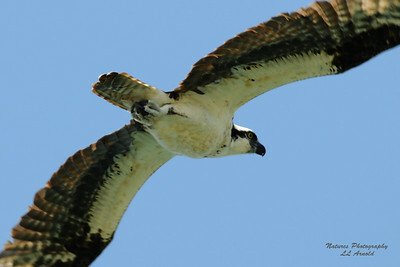 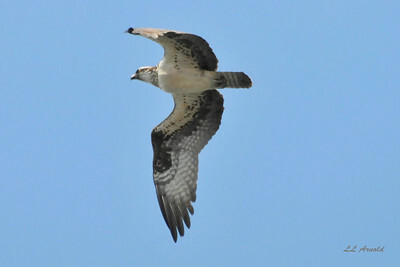 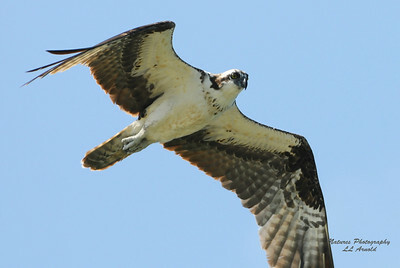 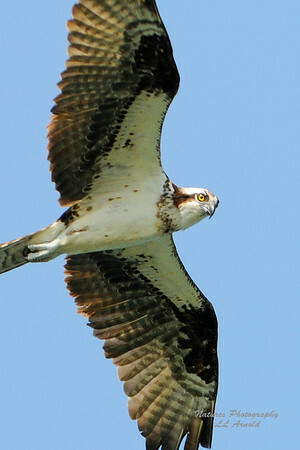 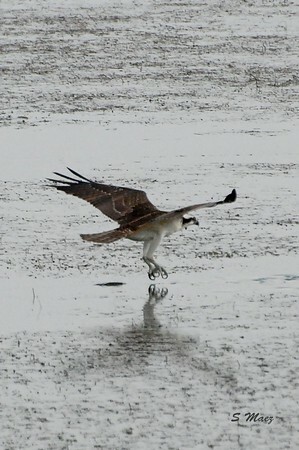 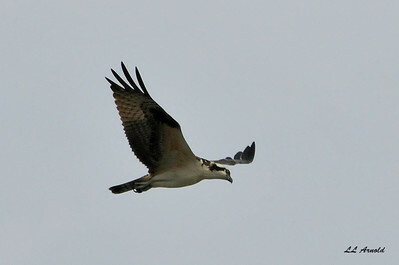 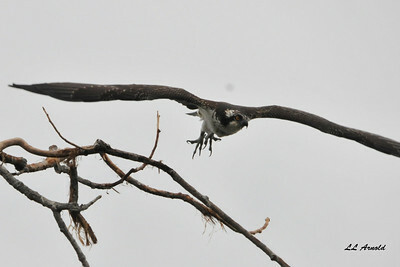 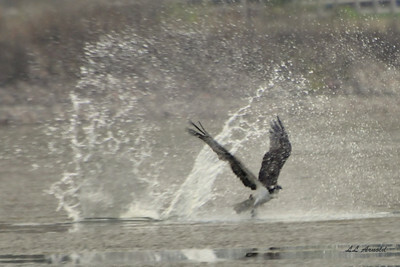 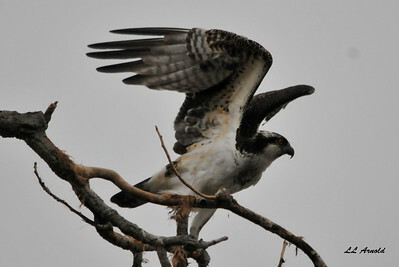 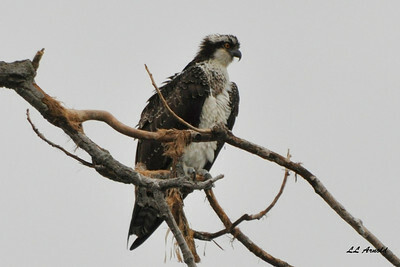 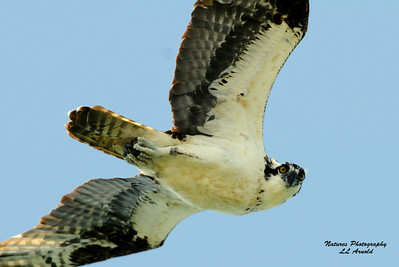 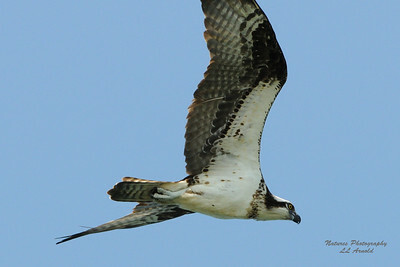 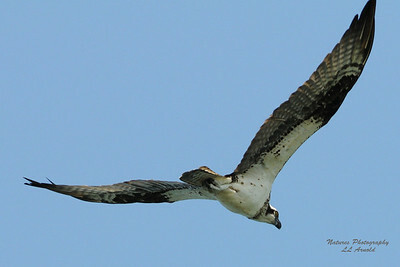 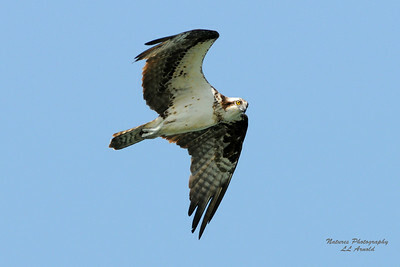 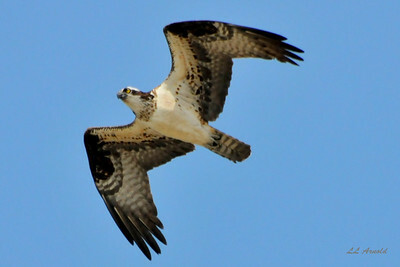 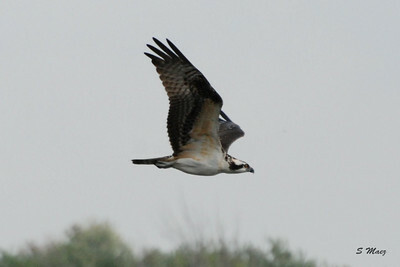 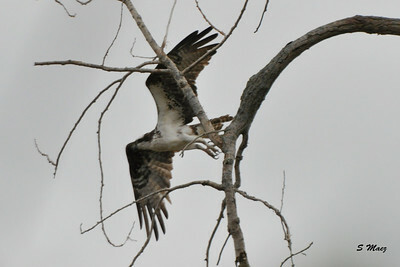 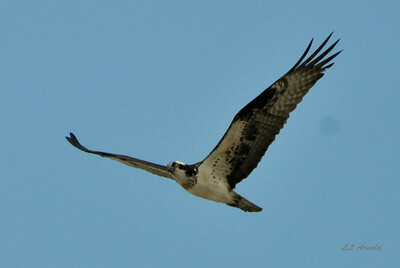 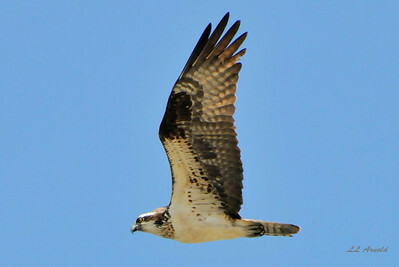 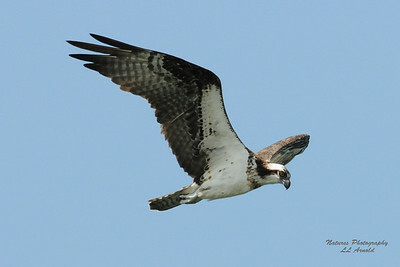 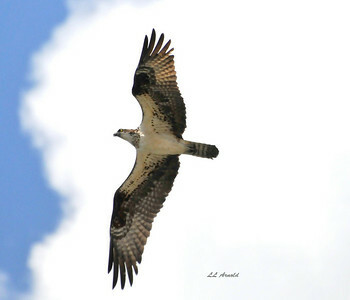 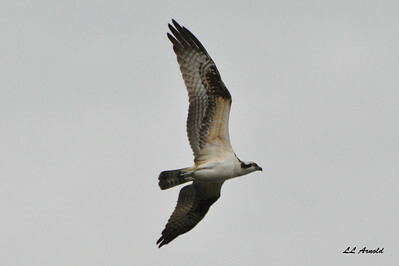 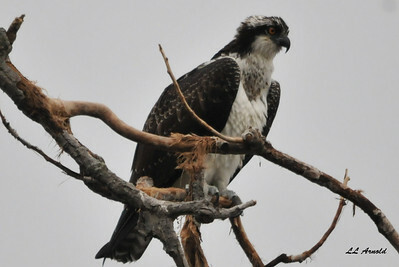 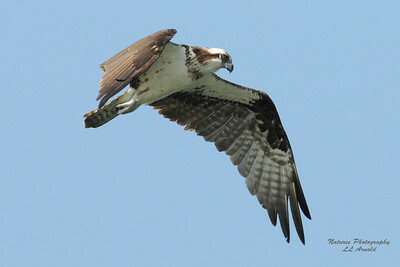 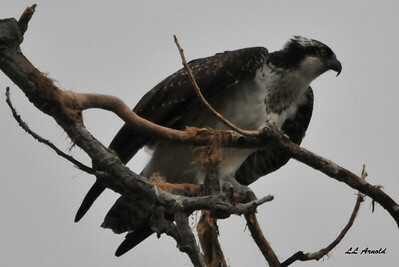 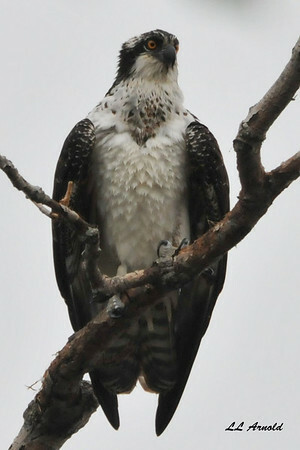 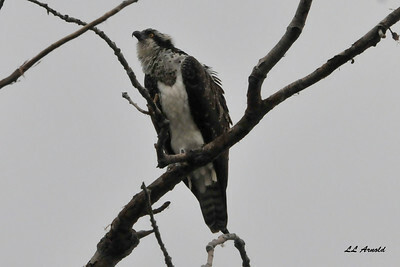 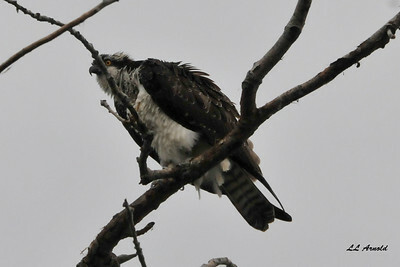 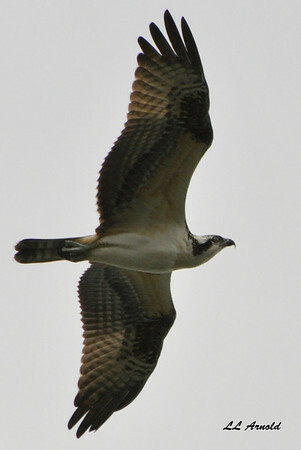 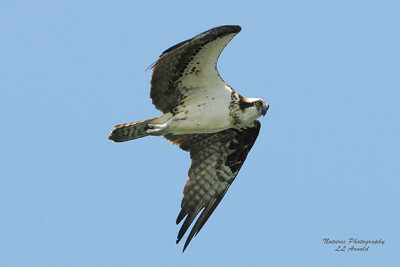 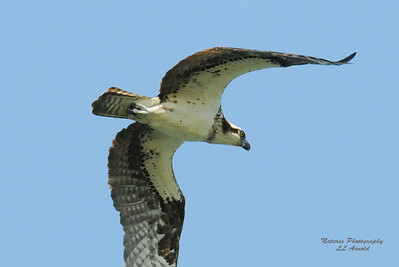 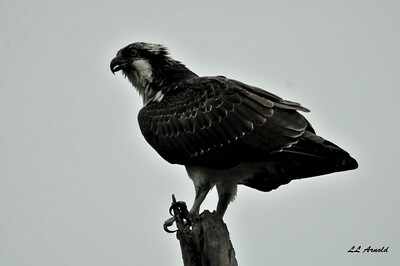 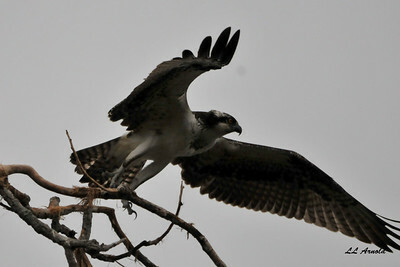 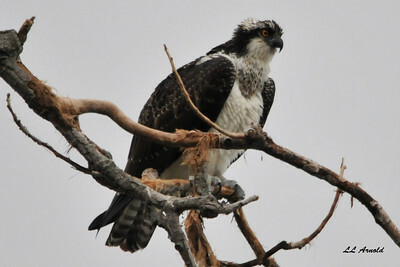 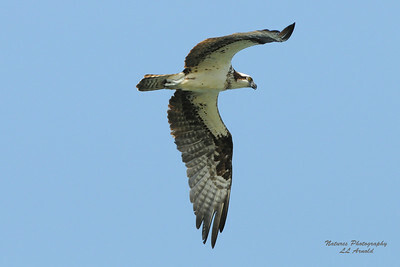 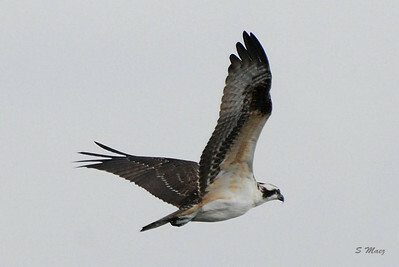 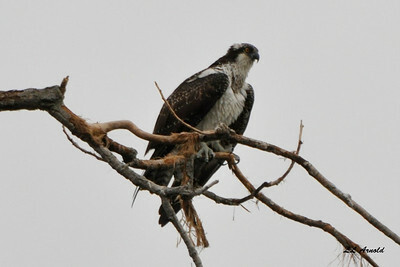 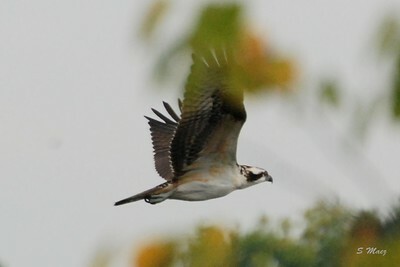 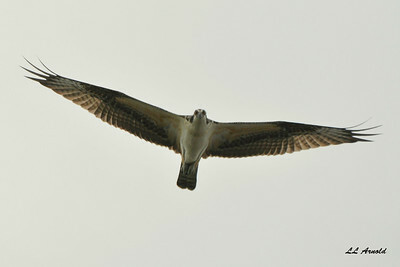 The Osprey is 2–4 1/2 lb in weight and 20–26 in long with a 4–6 ft wingspan. 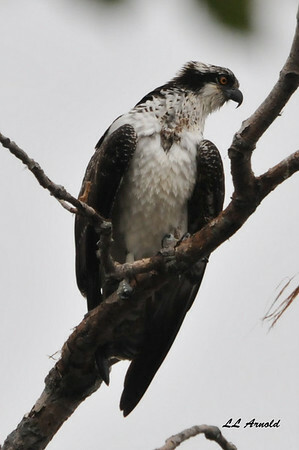 The upperparts are a deep, glossy brown, while the breast is white and sometimes streaked with brown, and the underparts are pure white. 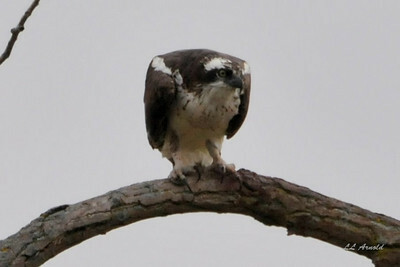 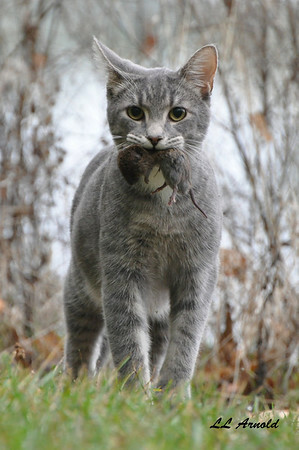 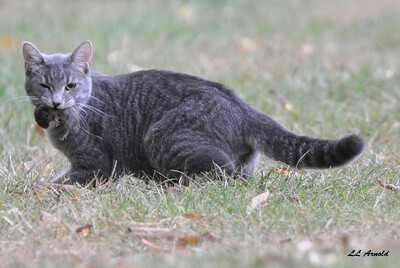 The head is white with a dark mask across the eyes, reaching to the sides of the neck. 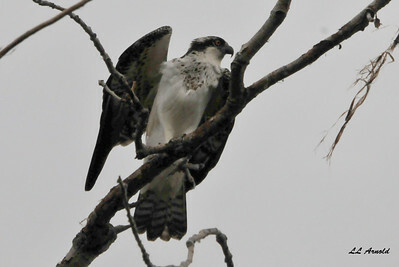 The bill is black, with a blue cere, and the feet are white with black talons. 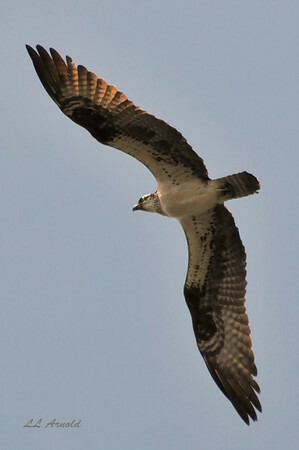 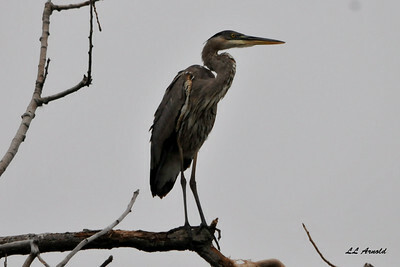 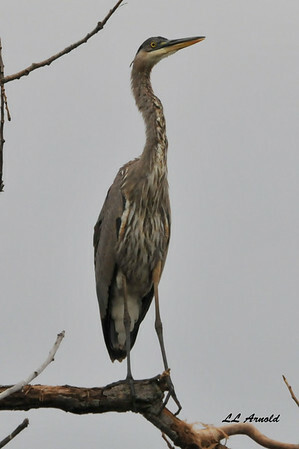 A short tail and long, narrow wings with four long, finger-like feathers, and a shorter fifth, give it a very distinctive appearance.